Last year I made an estimate of the natural rate of interest, and I thought it was time to update it. 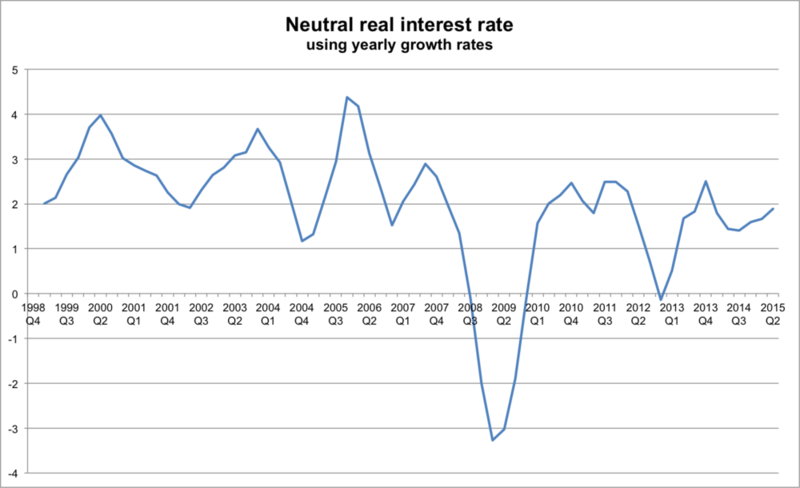 Using the same methods the real neutral interest rate is currently 2.3%. 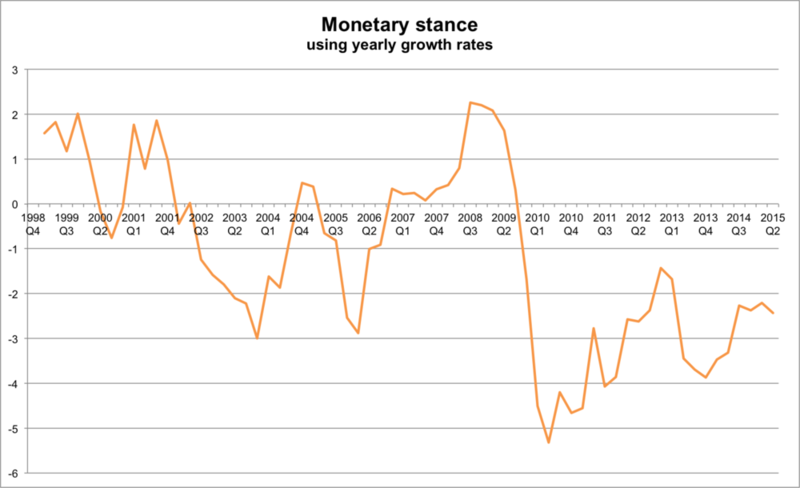 I also wanted to use this as an input to make a judgment about the monetary stance. To calculate the nominal neutral rate I used the GDP deflator (a quarterly measure of inflation expectations would be better, but I'm not aware of any). I then compared the implied nominal neutral rate with the actual nominal rate (given by Sterling Overnight Index Average, SONIA). The difference gives an indication of the monetary stance - a positive difference implies policy is too tight, a negative difference is too loose. 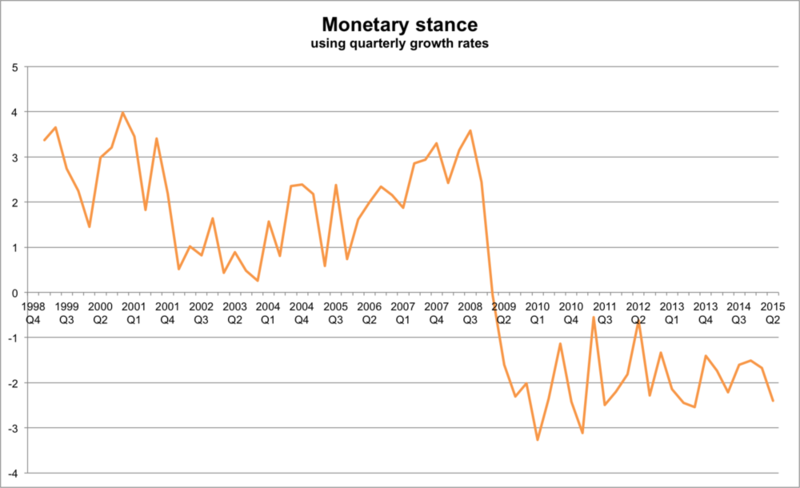 As of Q2 2015 the nominal neutral rate is 2.86%, and with an actual rate of 0.46% this provides a stance measure of -2.40%. I'm holding off on providing too much interpretation until I'm more confident with the compilation method. Please contact me if you have any comments or queries.